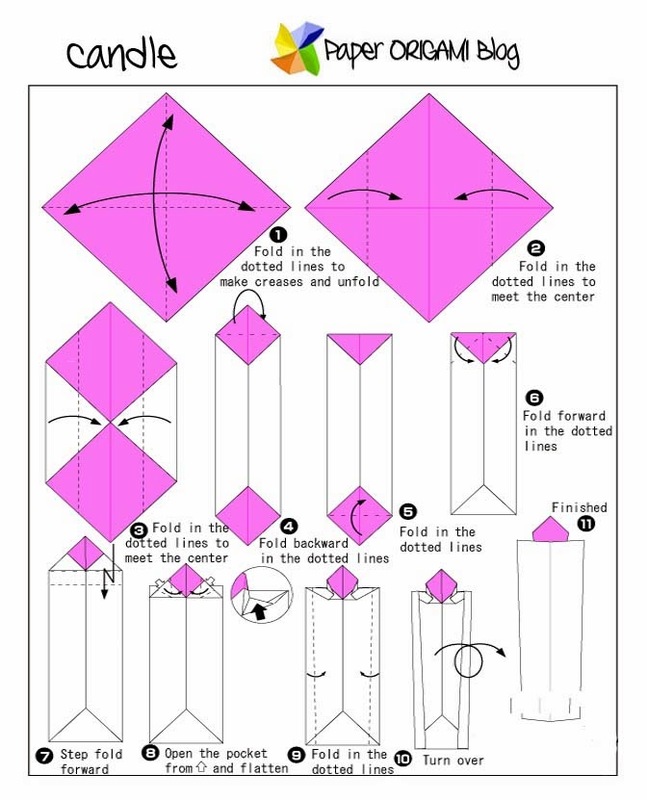 Candle Origami- You can do simple candle origami by following the diagram below. Candle is can be used in decorations, like this coming Christmas holiday, All saints day and so on. 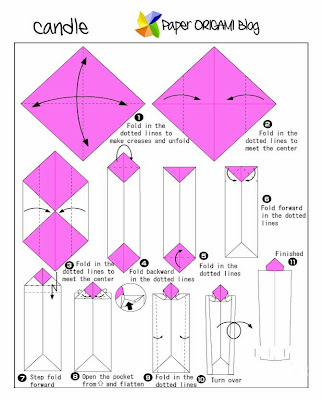 Real candles is very useful but making its counter part the origami is fun. Enjoy!